Mumbai: India’s benchmark stock index fell to a 20-month low as lenders plunged for a second straight day following Moody’s Investors Service’s downgrade of State Bank of India’s (SBI) financial strength rating on Tuesday. 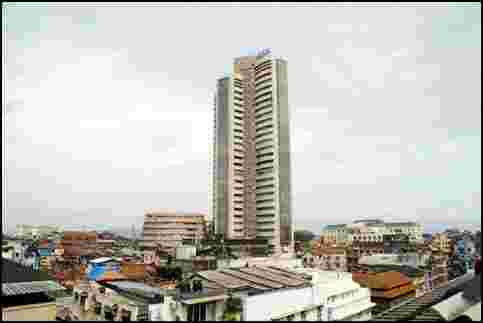 The BSE sensitive index, or Sensex, fell 0.5% to 15,792.41, its lowest level since 5 February, 2010. The gauge climbed 1.1% intra-day and swung between gains and losses at least nine times. “The uncertainty in global markets is keeping investors worried," Tejas Doshi, vice-president of equity research at Sushil Financial Services Pvt. Ltd, said by phone. “The SBI rating cut should be seen as a warning sign by the government." The Sensex has retreated 23% this year amid concern Europe’s sovereign-debt crisis and slowing economic growth in the US may compound the effects of the central bank’s record rate increases on company profits. Companies on the gauge trade at 13.3 times estimated earnings, down from 21.5 times in March 2010. The MSCI Emerging Markets Index is valued at 9 times. The MSCI Asia Pacific Index fell 0.2% to 107.51 as markets from Tokyo to Taiwan dropped after Italy’s credit rating was cut by Moody’s Investors Service after US markets closed. The downgrade, the first in almost two decades, came on concerns that Prime Minister Silvio Berlusconi’s government won’t be able to cut the region’s second-largest debt amid weak growth. Moody’s cut Italy’s rating three levels to A2 from Aa2, with a negative outlook, the New York-based agency said in a statement on Tuesday. The action followed a ratings cut by Standard & Poor’s on 20 September. The S&P CNX Nifty on the National Stock Exchange shed 0.4% to 4,751.30. Its October futures traded at 4,769.30. The BSE-200 index slid 0.5% to 1,950.39. SBI sank 3.9% to ₹ 1,718.40, the lowest close since 19 August, 2009. India’s government is expected to invest as much as ₹ 10,000 crore in SBI by December, chairman Pratip Chaudhuri said in a phone interview on Wednesday. The infusion will be the first tranche of investment by the government and will take the bank’s capital adequacy ratio to 13%, he said. Tier I capital ratio will climb to 9%, he said. ICICI Bank Ltd slumped 2.7% to ₹ 779.25, the lowest close since 29 October, 2009, while HDFC Bank Ltd, the second-largest lender, lost 2.3% to ₹ 438.70 rupees. The BSE Bankex of lenders shed 2.5% to 9,961.54, the lowest close since 26 February, 2010. The 14-member gauge has declined almost 31% in the past year. Bharat Heavy Electricals Ltd, the country’s largest power- equipment maker, tumbled 2.8% to ₹ 313.50, its lowest close since 13 April, 2009. Maruti Suzuki India Ltd, which makes almost half the cars sold in India, lost 2% to ₹ 1,085.55. Overseas investors sold a net ₹ 780 crore of local stocks on 1 October, taking their outflows from stocks this year to ₹ 1,380 crore, according the website of the market regulator. They withdrew a net $2.4 billion in August, the most since October 2008, triggering an 8.4% drop in the Sensex.